Funds Cut More Bullish Gold Positions; Enough To Allow Rally? 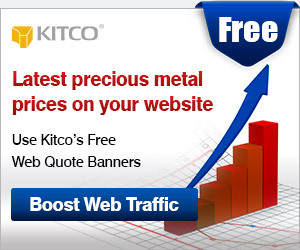 (Kitco News) - Fund managers continued to run from bullish gold positions in the latest reporting week for Commodity Futures Trading Commission data, although the third straight weekly decline may have cleared the way for some buying to return to the market, analysts say. Oct. 3 was the cutoff data for the most recent CFTC data. During the week-long period covered by the report, Comex December gold fell to $23.10 to $1,274.10 an ounce, while December silver lost 19 cents to $16.655. Net long or short positioning in the report reflect the difference between the total number of bullish (long) and bearish (short) contracts. Traders monitor the data to gauge the general mood of speculators, although excessively high or low numbers are viewed by many as signs of overbought or oversold markets that may be ripe for price corrections. “Following the recent weakness, the latest CFTC data showed gold positioning at the least bullish level in close to two months as longs were trimmed,” said Sam Laughlin, senior precious-metals trader with MKS (Switzerland) S.A. The disaggregated report shows that money managers cut their net-long position to 179,444 futures contracts in the week to Oct. 3 from195,976 the week before. This was mostly the result of long liquidation, as the number of longs fell by 14,773 lots. There was also some fresh selling, as reflected by a 1,759 increase in gross shorts. Factors behind bulls’ exodus from long positions included a stronger U.S. dollar, expectations for more Federal Reserve monetary tightening after comments from policymakers, and some abatement – as of Oct. 3, at least – of geopolitical worries, said Phil Flynn, senior market analyst with at Price Futures Group. Additionally, the price slide itself no doubt triggered further buying, he explained. The net long is now down by 29% from the peak of 253,517 lots as of Sept. 12. However, gold prices have risen since Oct. 3 the cutoff for the latest CFTC data, trading as high as $1,288 so far Monday. Meanwhile, in silver, money managers’ net long fell to 55,447 futures contracts from 57,866 the prior week. The decline was due to a combination of liquidation (gross longs fell by 1,141 lots) and fresh selling (total shorts rose by 1,278).